Plan your next family weekend getaway to Pigeon Forge for Easter. Pigeon Forge is your one-stop destination for affordable family fun all Easter Weekend long. 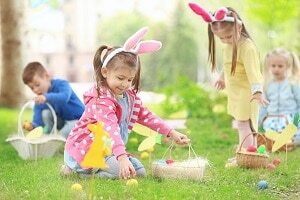 Explore a variety of fun Easter activities and things to do with the kids. The kids are sure to love the annual Easter Egg Hunt at Patriot Park. This free event takes place on April 20th at 10 am for all kids 12 and under. The park offers the perfect place for kids to run around and fill their baskets with colorful and treat-filled eggs. 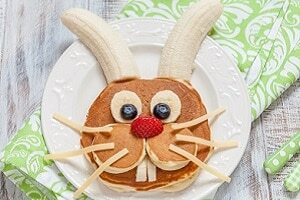 Take the family to the The Old Mill Pottery House Cafe & Grille for a great country style breakfast with the Easter Bunny. There’s door prizes and activities for the kids to enjoy after their meal. Looking for things to do in Pigeon Forge without breaking the bank? Explore the area and save money along the way with all of these budget friendly and free things to do in Pigeon Forge! If you prefer to plan your own Easter activities, Pigeon Forge offers many perfect spots for that too. Why not rent a cabin or chalet for the weekend? 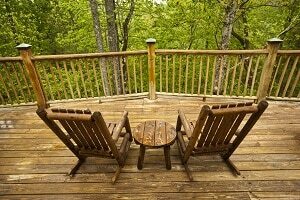 Pigeon Forge cabins and chalets offer plenty of room for you to cook up a great Easter meal and have an Easter egg hunt for the kids, all while enjoying a little rest and relaxation amidst the magnificent views of the Great Smoky Mountains. Spend your Easter Weekend in Pigeon Forge enjoying the fresh mountain air and plenty of family fun for everyone! You’ll find plenty of outdoor activities in and around the Smoky Mountains to make your Easter celebration last the whole weekend long. Explore even more things to do with the kids during Spring Break in Pigeon Forge.